The British government has broken a pledge by former Prime Minister David Cameron to take in 3,000 Syrian children, instead limiting the number to just 350. 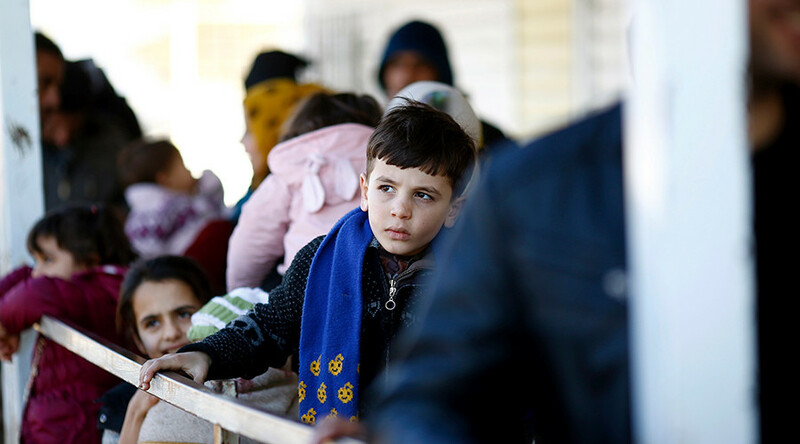 A statement by Immigration Minister Robert Goodwill confirmed Wednesday that the UK will stop taking in unaccompanied Syrian child refugees at the end of next month. The children had been arriving in the UK after the government accepted an amendment to the Immigration Act, the Dubs amendment, last year. Labour leader Jeremy Corbyn slammed the move as “shameful”. The amendment, designed by former WW2 refugee Lord Dubs, sought to aide the estimated 90,000 unaccompanied migrant children across Europe. Lord Dubs, a Czech Jew, arrived in the UK on the “Kindertransport” as a child and has expressed his dismay at the plan’s abolition. “During the Kindertransport, Sir Nicky Winton rescued 669 children from Nazi persecution virtually single-handedly. I was one of those lucky ones. It would be a terrible betrayal of his legacy if as a country we were unable to do more than this to help a new generation of refugees,” Dubs was quoted as saying by the BBC. Immigration Minister Robert Goodwill confirmed that 350 children would be settled through Dubs, but expressed that Britain should be proud of its record in helping people experiencing the worst refugee crisis since the second world war. “The UK can be proud of its record helping refugee children and I can today announce, in accordance with section 67 of the Immigration Act, that the government will transfer the specified number of 350 children pursuant to that section, who reasonably meet the intention and spirit behind the provision,”said Goodwill. Labour MP Yvette Cooper also expressed anger at plans to scrap the program.